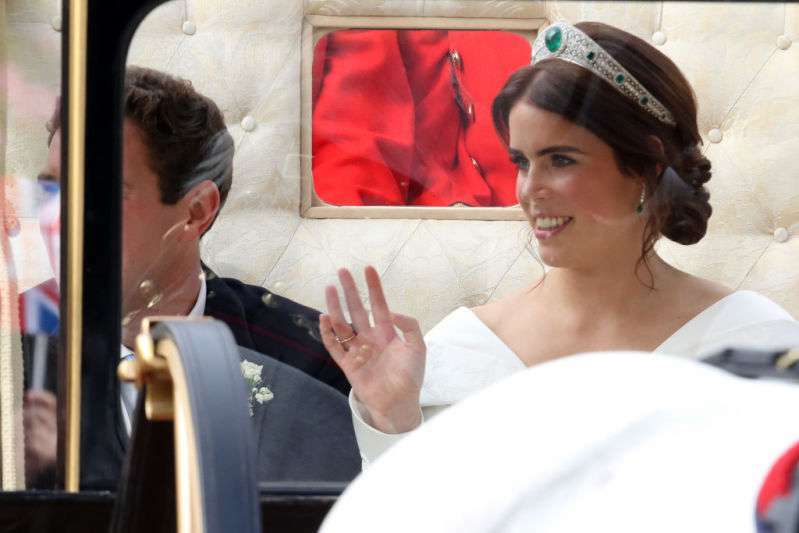 For the most important day of her life, Princess Eugenie chose the Greville Emerald Kokoshnik tiara and a magnificent wedding dress by Peter Pilotto. The jewelry’s origin, which Eugenie borrowed from her grandmother, Queen Elizabeth II, dates back to 1919. It was created by the jewelry house Boucheron for Margaret Greville, the great philanthropist of the 20th century. The “kokoshnik” style was fashionable at that time and still looks trendy today. The family relic consists of sparkling diamonds on the platinum frame with six emeralds on each of the sides. Greville passed the tiara to the Queen in 1942. 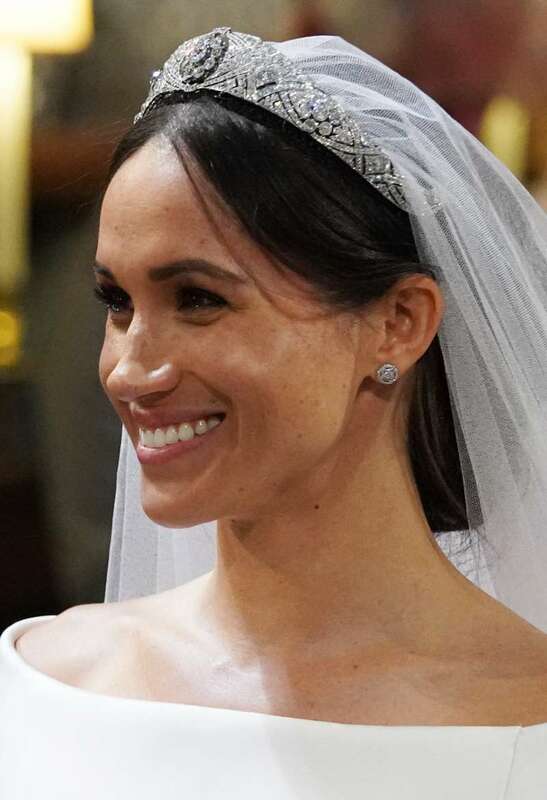 By the way, don’t you think that this jewelry of great beauty looks very similar to the one Meghan Markle wore at her wedding? Let’s recollect its history as well. The diamond tiara that the Duchess wore to hold the bridal veil belonged to Queen Mary and was also borrowed from Queen Elizabeth. 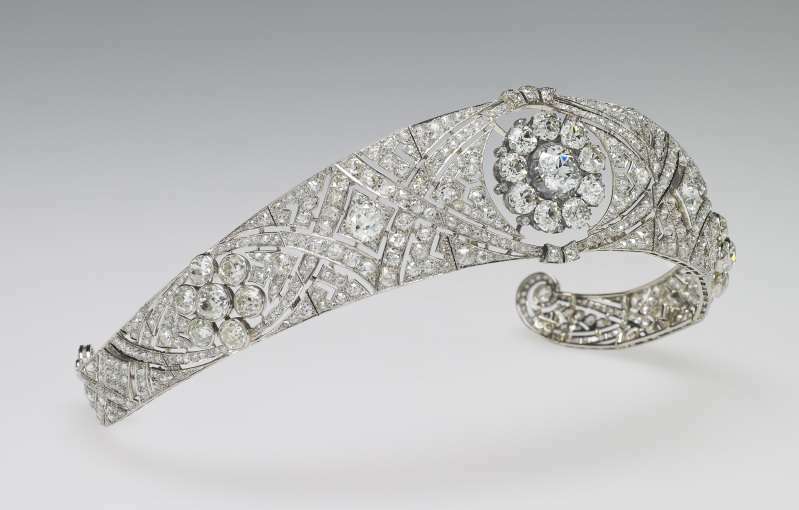 The diamond strip was made in 1932, with the central brooch dating back to 1893. The central brooch was given as a gift to Princess Mary in 1893 by Lincoln County due to her marriage with Prince George, Duke of York. Queen Mary bequeathed the tiara and the brooch to Queen Elizabeth II in 1953. Wow. Beautiful bride, stunning photo. She looks beyond gorgeous and they're so happy! 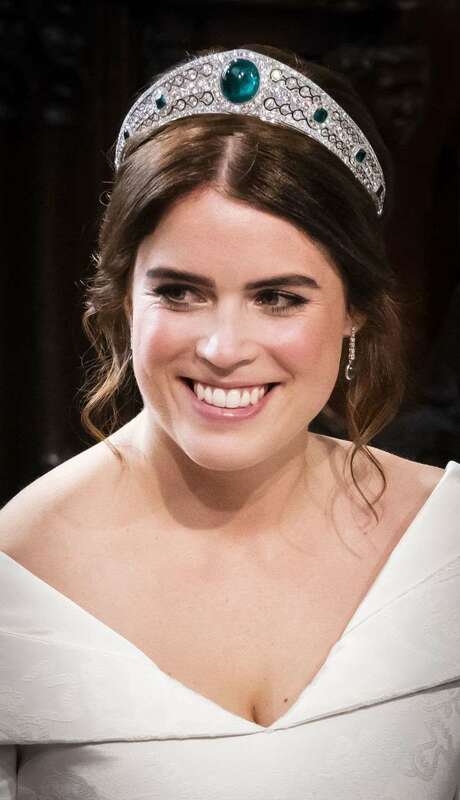 People enjoyed Princess Eugenie’s tiara, and there were even those who liked hers better than Meghan’s. What do you think? Do you agree that the tiaras looked very similar? Let us know in the comments!